Saudi Arabia’s King Salman has announced a major cabinet reshuffle, a week after he acceded to the throne following King Abdullah’s death. The chief of intelligence and the head of the national Security Council have both been replaced. Other top officials, including the ministers of defense, oil, and foreign affairs, have kept their jobs. 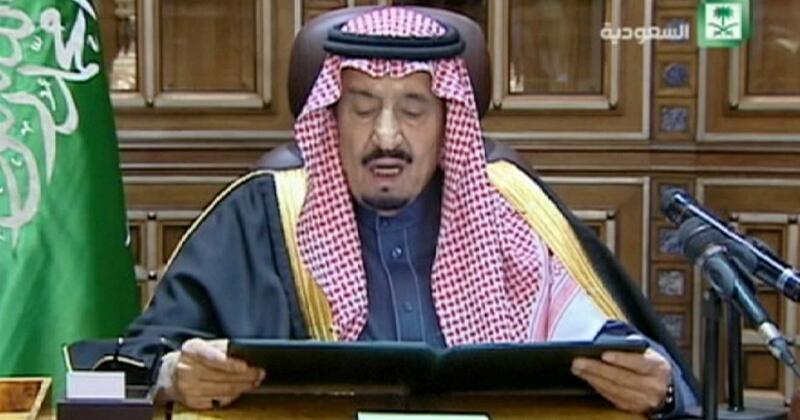 The governor of Mecca and the governor of the capital Riyadh were replaced as were several senior religious officials. King Salman – who was a half-brother of the late King Abdullah – also gave a bonus of two months’ salary to all Saudi state employees and military personnel. Pensioners and students received similar bonuses. The changes were announced in 30 royal decrees. “Dear people: You deserve more and whatever I do will not be able to give you what you deserve,” King Salman said later on his Twitter account. The king asked citizens to “not forget me in your prayers”. The Saudi Press Agency said King Salman had relieved intelligence chief Prince Khalid bin Bandar bin Abdul Aziz al-Saud of his post. General Khalid bin Ali bin Abdullah al-Humaidan becomes the new intelligence chief, with cabinet rank. A nephew of the late king, Prince Bandar bin Sultan, was removed from his posts as secretary general of the National Security Council and adviser to the king. Two of King Abdullah’s sons were also removed – Prince Mishaal, governor of the Mecca region, and Prince Turki, who governed the capital Riyadh. The Oil Minister, Ali al-Naimi, Foreign Minister Prince Saud al-Faisal and Finance Minister Ibrahim al-Assaf remain in the cabinet. Another of King Abdullah’s sons, Prince Mutaib, stays as minister of the National Guard. King Salman also replaced several senior religious officials, removing two clerics regarded as comparative liberals who headed the Justice Ministry and Religious Police. Hours after King Abdullah died on January 23, Salman appointed one of his own sons, Prince Mohammed bin Salman, as defense minister. He named another of King Abdullah’s half-brothers, Prince Muqrin, who is in his late 60s, as the new crown prince.